Keep your Patriots memories close with this New England Patriots Super Bowl LIII Ticket Collection 12x12 Picture Frame. 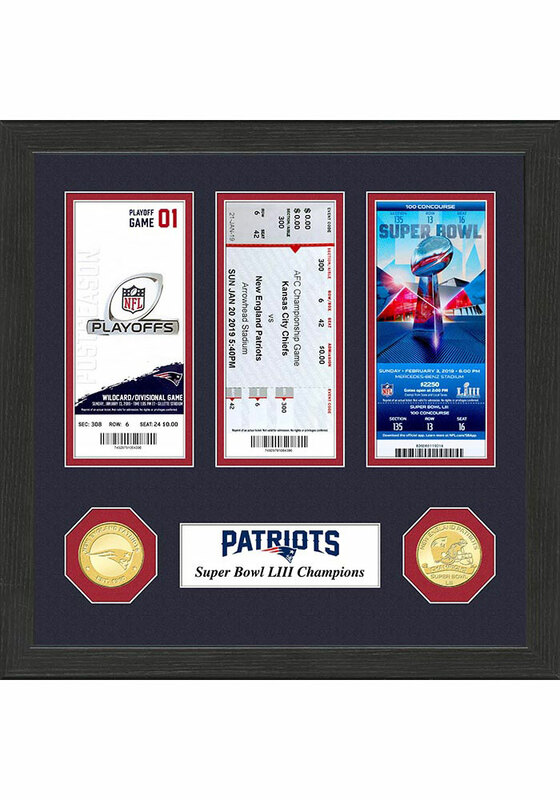 You'll love looking at your favorite Patriots moments with this Picture Frame, which features a replica game tickets for the Divisional Championship, AFC Championship, and Super Bowl LIII. This ticket collection is featured in a 12x12 wood frame with double matting. A minted bronze Super Bowl Champions commemorative coin and a Patriots team coin are accompanied by a certificate of authenticity.